What's Happening In The Shark Finning Market? Shark fin soup was once a delicacy in Asian nations reserved for the upper class, but in recent years, has become more readily available to both upper and middle classes. Now common at weddings, banquets, and business meetings, China has emerged as a nation with the largest market for shark fin sales. Unfortunately, sharks have had to pay the price for this growing demand. Estimates suggest that 26 to 73 million sharks are killed each year in the shark fin trade, a brutal practice where many sharks are finned alive and left to bleed to death once dumped overboard. 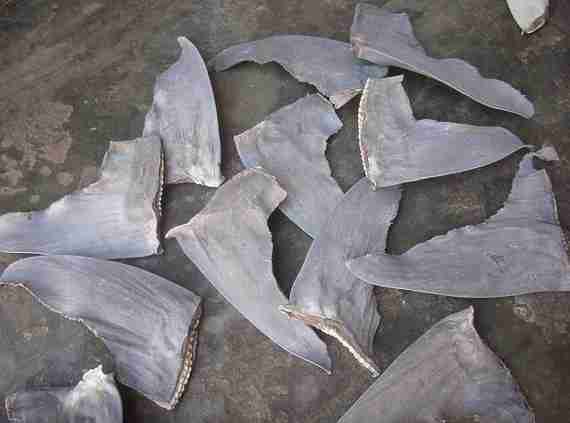 Shark finning is also a wasteful practice, as only one-to-five percent of the shark is used while the rest is wasted. But, the demand for shark fins in China could actually be dropping, according to a new report by WildAid. Shark fin vendors have reported an 82 percent decline in sales in Guangzhou, the hub of the shark fin trade, and 85 percent of surveyed Chinese consumers say they gave up shark fin soup within the past three years. Additionally, 19 out of 20 surveyed Beijing restaurants say they've seen a "significant decline in shark fin consumption" over the past few years, says the report. "A decline in demand means there will be less effort put forth by fishermen to seek-out sharks for their fins," says Oceana responsible fishing campaign director Dominique Cano-Stocco. "Less fins in soup means more fins on sharks." Oceana and other conservation groups have launched extensive public awareness campaigns in recent years, displaying messages about the brutality behind shark finning in public settings such as transit stations, airports, and on TV commercials. In China, broad public awareness campaigns, coupled with the Chinese government's ban on shark fin soup at state banquets in 2012 and the resulting media coverage, have had a huge impact on changing the public's opinion on shark fin soup. According to WildAid, of the 85 percent of Chinese consumers who had recently given up shark fin soup, two-thirds of them said it was because of these campaigns. This switch in the public perception of shark fin soup and shark finning is good news for sharks, many of whom are severely threatened by this practice. Many shark species commonly found in the shark fin trade have declined by up to 99 percent, including oceanic whitetips, bull sharks, and tiger sharks. Others, like great and scalloped hammerheads, are verging on "total collapse," according to the report. Fortunately, many countries like the United States and the European Union have banned the practice of shark finning, and many states and regions have banned shark fin products and the trade in sharks fins. 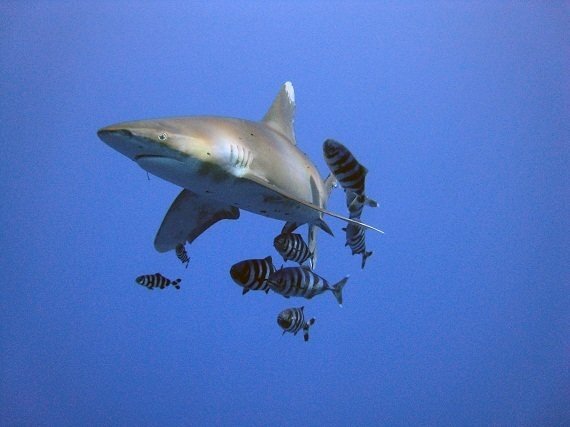 In addition, 24 airlines, three shipping lines, and five hotel chains have banned shark fins or took them off the menu. Finally, China is also taking steps to appease international concerns by prohibiting the use of government funds for shark fin soup. We realize the fight against shark finning isn't over, and has campaigned for domestic bans and improved fishing regulations. In 2010, after years of work by Oceana, Congress tightened the ban on shark finning in U.S. waters by passing the Shark Conservation Act, requiring that all sharks be landed with their fins naturally attached. Also in 2010, Hawaii established the first shark fin trade ban-ground-breaking legislation which nine states and three U.S. territories restrict the shark fin trade within their borders. Additionally, when the National Oceanic and Atmospheric Administration (NOAA) threatened to overturn state shark fin trade bans in 2013, Oceana pressured NOAA to reverse course. Oceana established a shark finning ban in the EU and is currently working on banning shark finning in Chile, as well as implementing better fisheries management. "These are positive steps forward but the job isn't done. The bottom line is that most shark species are not resilient against much fishing pressure. Sharks won't be safe and their populations won't start to recover until sharks have science-based annual catch limits and limits on the number that can be caught and killed as bycatch," says Cano-Stocco. "Continued efforts to restrict the trade in sharks fins will help us close the gap and protect sharks worldwide."